The Sage of Kanchi” is a biographical documentary in English on the life of Sri Chandrashekarendra Saraswathi, the 68th Shankaracharya of the Kanchi Kamakoti Peetam. 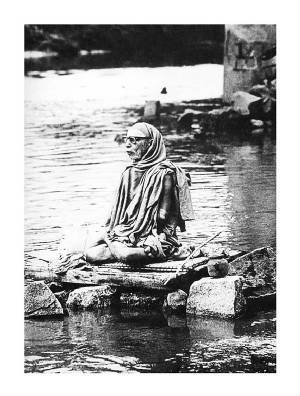 It takes you on a spiritual journey and portrays the life and times of the Maha Periyavaa of Kanchi, referred to as Paramacharya by his disciples and followers. The video captures the 100 years of life of this great spiritual head, his immense contribution to the national and spiritual fabric of India, and to the 2,500 year old institution established by Sri Adi Shankara at Kanchipuram. You may visit the following site to view the lovely video presentation of Parmacharya’s life history. May the Blessings of Paramachariar Grace one and all.